A receipt from last month's expenses. Approximately 60% of our monthly expenditures at St. Kizito are for infant formula. We are always working to find birth, foster, and adoptive homes for our children, but in the meantime addressing the urgent nutritional needs of infants is our daily charge. As many of you know, the job of St. Kizito is to provide a home for children without one, but always with the goal of reunifying orphans with their families or finding a new permanent home. Globally, it’s understood that the best case for each child is to live with family, if that can be done securely. If not, with a community where they identify. Sometimes conflict, natural disaster, and medical crises can make that impossible - which is where we (and you!) step in. Asimwe, four years old, has now been able to return home to his grandmother’s house. Bahati, himself the son of an orphan, has joined a family in Bunia. Honorine, 14 years old, whose mother died in childbirth, came to the orphanage when she was a baby suffering from acute malnutrition and is now living with her grandmother. While there are always challenges, we celebrate these days and know that they only happen because of the hard work of the Congo Kids Initiative community! All year long we give each other hugs and smiles and pats on the back and sometimes home baked sweets and treats. But over the December holidays there is a lot of giving of "stuff" - some of which is wonderful and some of which...well, how do you classify those ugly sweaters? In 2018 we launched a practical way to give goodness and we’re bringing it back now - in the form of a partnership with our friends at WORKSHOP/CoOp. They specialize in developing contemporary accessories with global artisans and right now are showcasing a set of travel pouches made from Congolese and other travel inspired fabrics. Each one is made of cotton fabrics from Congo or other countries and is lined with a water resistant fabric and accented with a ring zipper. They are specially priced for the holidays at $12.00 each and when you purchase one (or several!) the proceeds will come to Congo Kids Initiative to help children who are displaced through conflict and you'll received the gift of organizing in style. We think this is pretty cool and hope you will too! Mama Elyse, as she’s called, taking a moment to do her most important work - share love with children. 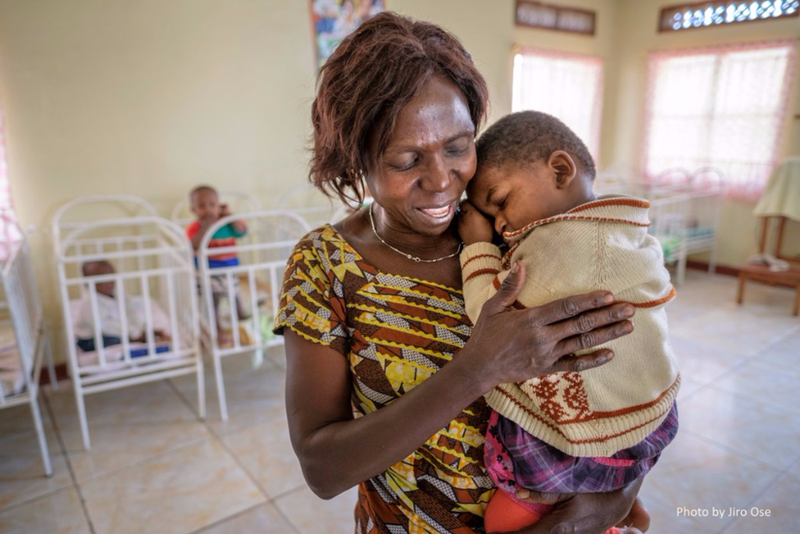 Elyse Pifa spends every day caring for Congo’s children. We’re proud to have her leading our efforts in Bunia, DRC to build a safe future for children caught in conflict. It takes a team to support each and every new infant entrusted in our care at St. Kizito. Our first step is to support these little ones medically and emotionally and then to find a supportive, long-term home for them. Running an orphanage in a country still reeling from decades of war, each month brings highs and lows, small victories along with crushing disappointments. Little Isaac arrived earlier this year, barely a month old. Isaac’s mother had died while giving birth to him in their remote village 35 miles outside of Bunia, and his grandmother was too poor to feed him. She traveled all day over bad roads to deliver him to the orphanage, knowing it was his only chance at life. The sisters accepted him without question and began filling his tummy with formula, but they noticed something was wrong. Isaac’s head was swelling, the result of hydrocephalus, where fluid builds up in the ventricles of the brain. Congo has many resources - and one of them is sunshine. In addition to being the source of a vast amount of the world's minerals (competition for which have sadly too often led to conflict rather than necessary financial stability for the Congolese people) the DRC is a sunny place to be. In order to make sure that the St. Kizito Orphanage has power all year round, the community is working on adding solar panels that can provide a free, sustainable source of power. If you look closely at the photo, you'll see that our newest building (the children's house, added recently thanks to your generosity) is now enhanced with several new panels that can keep the lights on all night long! We're excited about this new development and look forward to adding many more sustainable features to the orphanage in the coming months. Of course, if you have any technology folks in your network please send us a note at congokidsinitiative@gmail.com - we'd love your help! Earlier this year, the CKI family suffered a great loss with the death of Pastor Marrion P’Udongo. In addition to being a dear friend, he was the soul of our organization, possessing both the tenacity and cunningness to make things work in extremely difficult situations. As journalists like to say, he was one hell of an operator, and he will be missed. As many of you know, Marrion had been sick for a while. Back in 2010, he suffered renal failure that required a kidney transplant, which hundreds of his friends and supporters helped make possible through their generous donations. But the donor kidney never quite worked, causing him years of pain and discomfort. After it finally failed, we were in the process of helping him receive another donation, this time in India, when his health deteriorated to the point where doctors could do no more. He died just hours after flying back to Africa, his wife Julienne by his side. He was laid to rest in Bunia, where his heart had always been. For most of his adult life, Marrion worked as a circuit preacher, traveling out from Chrisco church in Bunia into the scattered villages of the vast Ituri province. He often traveled for days to preach a revival, enduring washed-out roads, bad weather, and militia that preyed on travelers. During Congo’s long war, Marrion moonlighted as a fixer and interpreter for international journalists, guiding them beyond front lines and checkpoints otherwise impassable. In a war where tribal affiliation marked you for murder, Marrion traveled freely. The hardest militia commanders and child soldiers knew him and trusted him. His presence carried calm and reassurance, the promise of God’s mercy, and peeled back the insanity for brief moments. His humanitarian work during the war was immeasurable: he counseled scores of women and girls who’d been raped and helped them find doctors, convinced many child soldiers to surrender and rehabilitate, and clothed and fed prisoners and provided them lawyers. In one of his most remarkable moments, in 2003, he sheltered nearly a thousand of his congregants during ethnic pogroms in Bunia and led them safely to a United Nations base. Not only does Marrion leave behind the children at St. Kizito, whom he loved and championed each day, but also his wife and four kids of their own. To help Julienne pay expenses and send the kids to school (tuition isn’t free in Congo), we’re taking donations here. This #GivingTuesday we invite you to support an end to hunger for kids in Congo. A gift of $10 or more will help ensure the the children at St.Kizito Orphanage have a chance to thrive! Across the globe, families are celebrating the harvest season and giving thanks for an abundance of food. At the same time, 795 million people around the world do not have enough nutrition to lead healthy lives, a shortage that particularly impacts babies and children. Malnutrition is particularly significant in Democratic Republic of the Congo (DRC) where it is estimated 23% of children are underweight. This challenge is especially felt in areas impacted by conflict and displacement when farming is limited and food scarcity rises. At Congo Kids Initiative one of biggest goals is to ensure that the children of St. Kizito have healthy meals so that they can grow strong bodies and minds. Planting gardens and maintaining livestock are some of the ways we’ve invested in long-term, sustainable strategies to ensure our busy kitchen is full of great food. For little ones, who aren’t ready for solid food, we need other options. At no period is nutrition more important than during the first 1,000 days of a child’s life (from conception through the second birthday.) Poor nutrition at these ages can lead to stunted growth, cognitive impairment, and long-term learning challenges. Because babies cannot eat solid food, in the early years, breastfeeding offers a wonderful (and free!) way to eat for health. But orphaned infants are dependent on access to enriched formula with nutrients to ensure that they are prepared for life! In the DRC, what we take for granted - easy access to formula - can be prohibitively expensive. That’s why Congo Kids Initiative is working hard to provide steady access to formula the St. Kizito babies so that we can welcome everyone who needs our care. In this season of abundance, we invite you to join us in #GivingThanks on #GivingTuesday to ensure that children in Congo share in the celebration! Click here to give $10 or more today and make a difference in a child’s life. Last year we embarked on our first international collaboration in which students at the Norwegian School of Creative Arts (NKH) in Oslo and photographer Marcus Bleasdale created the photography project, NKH for CKI – Foto for Kongo. The project idea was to take the powerful medium of photography and use it as a platform to support CKI. 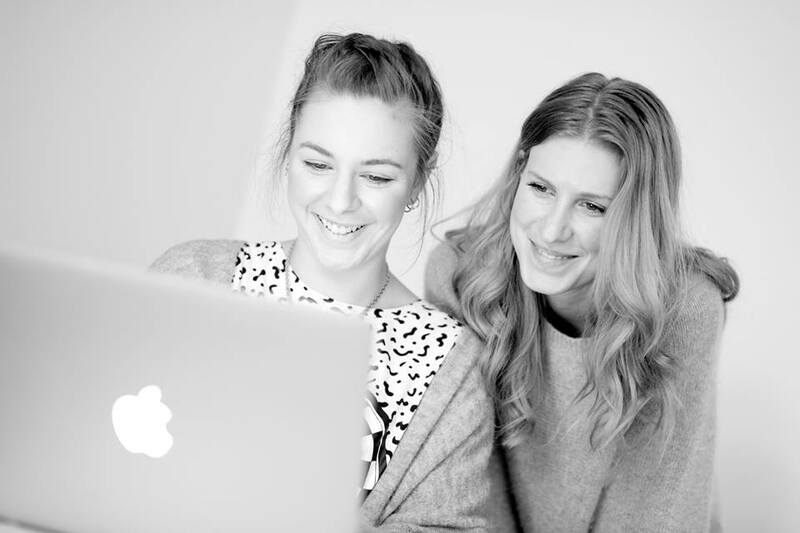 This year a new class of students has continued the project at the NKH campus in Bergen. Considering the size of the project and because the class is composed of only 8 students, it was a major learning curve for everyone involved. Sunniva, one of the participating students and head of the communications team, said that by sharing the work with each other and understanding the vitality of teamwork they were able to succeed and achieve their goal of supporting CKI and the children. Since the inception of the project in Bergen, students have organized workshops, drop-in portrait sessions, and company partnerships. In their most successful company partnership they were able to make a deal with a local gym; the gym donated all of their proceeds (from an entire day!) to Congo in exchange for photos of their gym members in action. In addition, the students organized and installed an art exhibition that took place on January 29th. The exhibition featured 48 photos and drawings, all of which were for sale and had been donated by students of the photography and illustration classes at NKH, teachers, and local artists. 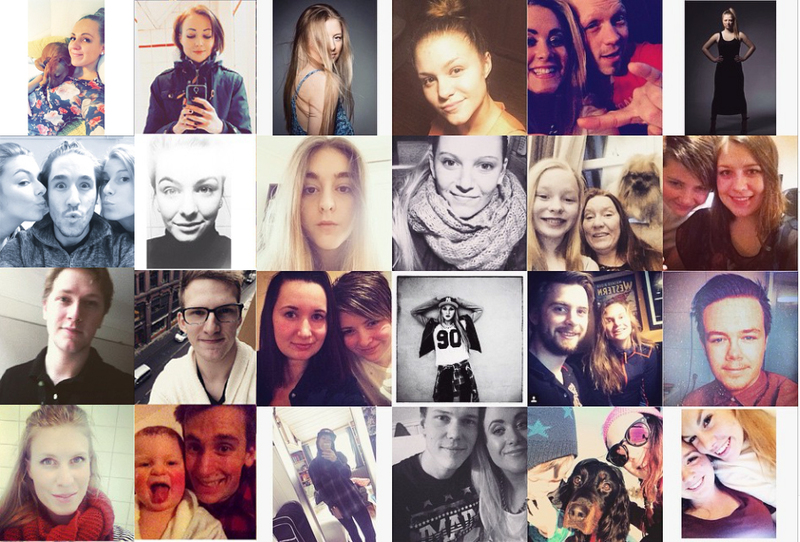 All in all the students were able to raise a total of 16.000 kr (1,895 USD) for CKI through the exhibition! We’re excited to watch NKH for CKI continue to grow and we look forward to seeing how the funds raised by the project will support children in Congo. For more news on what’s currently happening with the project and to see where it’s headed next, make sure to follow NKH for CKI on Facebook, Twitter, and Instagram. Thanks to the support of the Congo Kids Initiative global community - Brigitte and Neema, two St. Kizito residents, are attending college this fall! Both young women are attending ISTM Nyankunde (High Technical Institute of Medicine). Brigitte is studying nursing, and Neema is training to work as a lab technician. As St. Kizito's children grow up, an important part of CKI's work will be to ensure that they have the professional skills to lead sustainable and healthy lives. Brigitte was also raised by the nuns of St. Kizito after both parents passed away. She says she hopes to repay all those who helped raise her by returning to the orphanage once she graduates. Brigitte aspires to be a nurse or possibly a doctor. Neema was brought to St. Kizito orphanage when she was seven years old after her parents passed away. There the nuns cared for her and sent her to school. 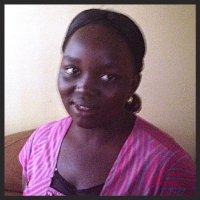 Neema was always a very bright student and, with CKI's financial support, she was able to complete secondary school. She looks forward to continuing her education to become a lab technician. She is our coordinator in the Congo, currently helping arrange the transportation for Neema and Brigitte to get to college each day. She has previously worked with a variety of other NGOs, providing social services, addressing domestic violence, and helping children who have been through trauma. We are very lucky to have her on our team. It All Starts with a Good Night's Sleep! As every parent knows - making sure each child has a clean, dry, warm bed to sleep in each night provides a key start to the day. Thanks to the support of Congo Kids Initiative family, all of the children at St. Kizito now have a new bed! Pastor Marrion and helpers figuring out how to get these great gifts home! Logistics in the Congo are a fine art and the St. Kizito team are always up to the challenge. After the mattresses are home - Sister Catherine and the residents tackle the installation with a smile! A photography-project by students at Norwegian School of Creative Studies in collaboration with the renowned documentary photographer Marcus Bleasdale (National Geographic / VII agency) and Congo Kids Initiative. The project "NKH for CKI - Photo for Congo" is now underway! After an inspiring meeting with documentary photographer Marcus Bleasdale in May 2014, we decided to start a project that would financially benefit people in need in the area and we chose to collaborate with The Congo Kids Initiative. The organization is gathering funds for the orphanage, St Kizito, in Eastern Congo. We decided that through photographic work and activities related to photography as a communication and medium, we would endure a project that would help raise money to this organization and the orphanage as such. First and foremost it was important for us as photography-students to use the knowledge we have and produce photo-related work in order to contribute to this project. The project supplies both funds for the orphanage, but also it provides us with a deep understanding of running and managing the project, work experience as photographers and a valuable insight in both the history of, and the challenges of The Democratic republic of Congo. An important part of the project is to raise awareness and knowledge of the project it self and what Congo Kids Initiative is working on. In addition we need to communicate how people can donate and contribute into this project. The general idea is to swap our knowledge of photography and our service as photographers with donations from the people we photograph or teach. We have created various accounts on multiple channels in social medias like Facebook, Instagram and Twitter. This way we can reach out to as many people as possible and it gives everyone an opportunity to show their commitment. We have also created a hash tag: #fotoforkongo, which we hope can contribute to getting the audience to feel included in this important project. We are campaigning both verbally and socially in addition to the channels online in order to create as much awareness as possible on this project. We are using Facebook and Twitter to post important information about events we organize to collect money, document the work we do along the way and regularly remind the audience what the money goes to by linking to www.congokidsinitiative.org. The first week resulted in 259 people liking our Facebook page and we aim to double this by the second week of the project. We have sent press releases to several Norwegian newspapers and are lobbying to get them to spread the word even further on our project. We have obtained sponsors for a sales exhibition that also marks the end of the project (for now) and so far (the first week) we have raised almost 30 000, - Nkr (4 000 USD) and this is before we have started swapping pictures for donations. Marcus Bleasdale has been supporting us and have on several occasions shared his images, knowledge and experiences from working in Congo as a documentary photographer and this has given us a even greater motivation to do everything we can to help the best we can! We look forward to addressing all challenges in the coming weeks and hope to reach as many people as possible to provide Congo Kids Initiative the attention they deserve! When the project is finished, we have a plan to challenge departments to NKH in Bergen and Trondheim to follow up the work and take the baton so that Congo Kids Initiative will get further support and attention in the future. The constructions for the infant center are fully underway. 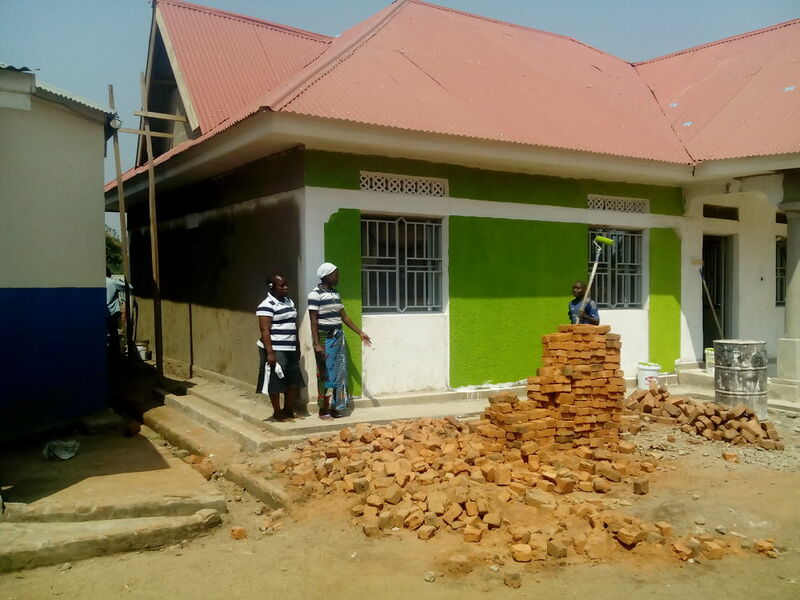 We are thrilled to see that the building process is moving along smoothly and the youngest members of the St.Kizito orphanage will soon have a beautiful home to be safe and grow up in. Thank you all who supported us. We'll keep posting images as the construction moves along. BUILDING A FUTURE THIS HOLIDAY SEASON! 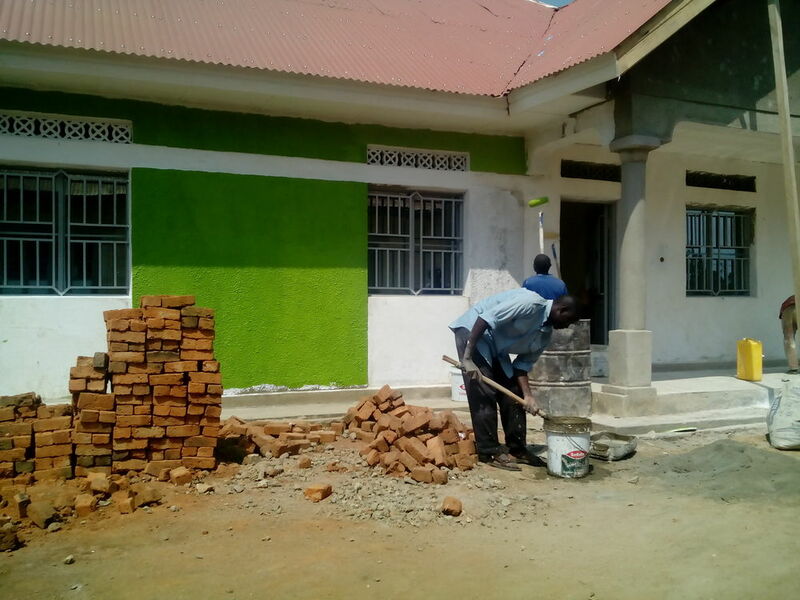 Our new Infant Center will provide safe housing for St. Kizito's infants! With your contribution of any size we can reach our $6,200 goal and complete this important project. As Christmas approaches in eastern Congo, the caregivers at St. Kizito orphanage in Bunia are overwhelmed. In the past three months, twelve newborn infants have arrived from surrounding towns and villages, all in various stages of dire health. Two were born premature and needed urgent care. Three others had been abandoned and left to die. One child, Esther, was discovered in a pit latrine, still attached to her placenta and covered with insects. Villagers rushed her to the orphanage clinic, where today she’s making extraordinary progress. However, thanks entirely to the heroic sacrifice of St. Kizito’s director, Sister Catherine Wadhiko, all twelve children are doing better. The young nun from Aru insists on personally caring for the children around the clock. At night, they all squeeze into her tiny 10x12-foot bedroom. Five of the smallest and most vulnerable infants, including Esther, sleep nestled beside her in bed, where she feeds them throughout the night. The other babies sleep on mattresses along the floor. We’re dedicated to helping Sister Catherine in her mission. This holiday season, we’re trying to raise the funds to complete a new building that can accommodate our new arrivals, plus the ones that are certain to come. Just this week, six people were reportedly killed when Ugandan-backed militia attacked a village in southern Ituri. The new building will house a nursery big enough to hold 22 babies, plus rooms for additional staff, and an indoor toilet. 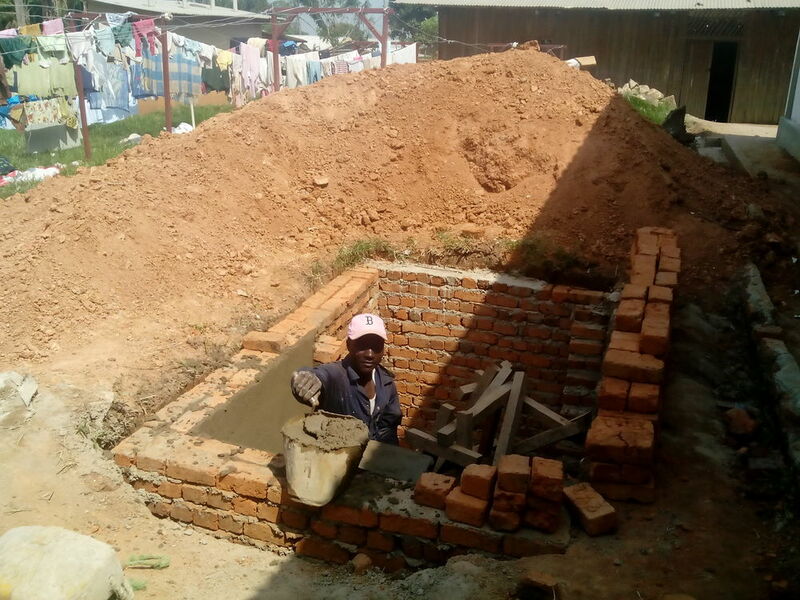 Half of the building is already finished, but if we can raise our goal of $6,200 we can provide a safe home for St. Kizito’s tiniest residents. We hope that in this season of celebration you will join us in building a future for St. Kizito’s children by clicking here and making a donation! The Congo Kids Initiative Team!